Just like in the UEFA Champions League, the quarter-final games of this season’s Europa League will be played this week. It’s been a long road for most of the remaining teams, especially those that started from the group stages of the competition. In the next few days, both the first and second leg ties of the contest will be played. There are only a few games left before the final is played. Which of these eight teams will qualify for the semi-final? Their loss against Everton meant the Gunners missed out on a chance to move to third on the Premier League table. Their away form has been tragic in the league. While they still have to travel to Italy, they take on Carlo Ancelotti’s men first at the Emirates. The last time Arsenal lost a home game was in January, against Manchester United, in the FA Cup. Can the Gunners defeat Napoli for a first leg advantage? Napoli, out of the running for the Serie A title, will be out to put on their best performance. They will need a huge boost from their current form, which has seen them pick up just one point from their last two games. It’s the first meeting between both sides in history. Benfica may be the side more familiar with this stage of the competition. However, they have to be a wary of a side that has lost only one game this year – a friendly against Flamengo of Brazil. Two Frankfurt players make up the top five goalscorers in the competition so far. Jovic Luka has scored seven goals while Haller Sebastien five goals. Which of these two players will score in this game? The Blues have to put away their top four worries for a while this week as they travel to Czech Republic. Slavia Prague currently tops the table in the 1.Liga after scoring five in their last game. They’re famous for knocking Sevilla out of the competition. For the Blues, they can count on Olivier Giroud. The Frenchman is the highest goal scorer of the competition this season, having nine goals to his name already. 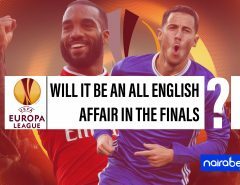 The all-Spanish affair will see two teams at opposite ends of the table clash for the semi-final ticket. Villarreal, currently 18th on the log table are fighting for survival in La Liga. Ironically, they’ve made it this far in a competition as prestigious as the Europa League. Three of the last five games between both sides has ended with less than one goal. How many goals will be scored in this fixture? Valencia is in a contest with the likes of Sevilla, Alaves, Athletic Bilbao and Real Betis for a top-six spot. For both sides, a semi-final spot is up for grabs. Which of these sides will, with a first-leg win, take the first step towards the semi-final? You think you know? Leave us your comments then and share your thoughts with us. 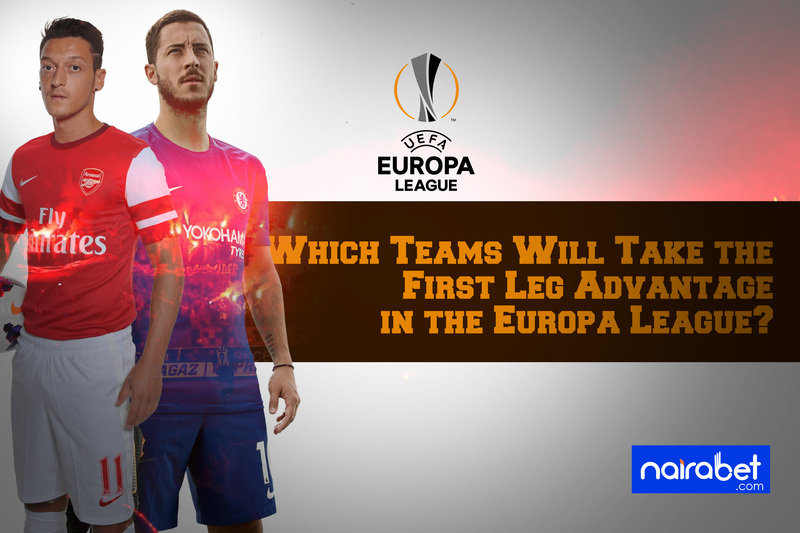 Which Team Is Favorite to Win the Europa League?